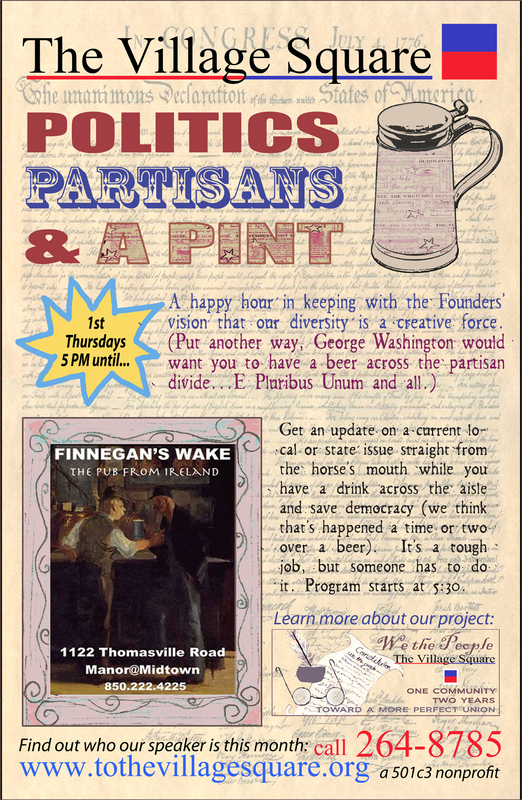 Are you interested in hosting a “Politics, Partisans & A Pint” happy hour in your hometown? We’ll give you your very own webpage to make it happen and offer guidance on how to succeed. (Happy hour can be a great jumping off point to begin a local Village Square.) Give us a holler.